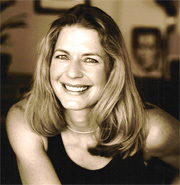 TERESA STEFFEN GREENLEE received her Bachelor of Music degree in Violin Performance from the University of Wisconsin in 1988. She began teaching private violin lessons while still in high school and continued to teach while working toward her music degree. While living in Madison, Wisconsin, Teresa performed as a violinist both in the Madison Symphony Orchestra and in the Wisconsin Chamber Orchestra. She also founded and performed as a member of The Caprice Quartet for 6 years. Shortly after earning her Juris Doctor from the University of Wisconsin Law School, she headed toward the mountains of Colorado. Living in Steamboat Springs, Colorado, Teresa is able to pursue many of her interests, both recreational and professional. She is the Concertmaster of the Steamboat Springs Chamber Orchestra and performs regularly as a member of the Steamboat Piano Trio. She has over 30 private violin students, has taught "Music through Strings" at Lowell Whiteman Primary School for the past four years, and recently stepped down as Director of the Steamboat Spring Youth Orchestra and Ensemble Program. After several years balancing careers in both law and music, Teresa recently stepped away from her legal work to allow more time for music and for her new-found passion - personal and professional coaching. She is married to Travis Greenlee, her partner in life and in Life Coaching, and loves to share with others her enthusiasm for chamber music, cycling, skiing, and personal growth and development. Page delivered in 0.00070 seconds.